On Thursday, September 18th, we held a webinar with Justin Mares, who co-authored The Traction Book with Gabriel Weinberg, founder and CEO of DuckDuckGo (a search engine). 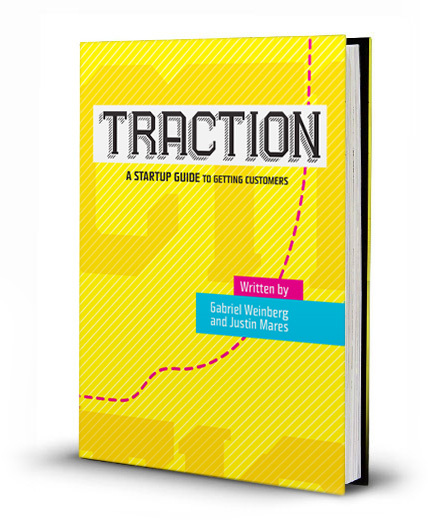 If you are a startup founder, marketer, or anyone looking to scale a business and get traction, this book is for you. The book includes interviews with many successful founders as well as research and growth stories that I believe anyone can learn from. These include some of the most successful founders who have built successful companies in all sorts of industries and will give you a better understanding of how founders do it in Silicon Valley. But more importantly, it teaches you repeatable traction tactics and strategies you can use in your own business. As a limited time offer, for anyone who purchases the book with verified sale, we will offer 3 months of free Tracking202 Beginner Edition. This is a $297 value ($99/month). We believe this book is well worth it and there is a lot of information you can learn from.